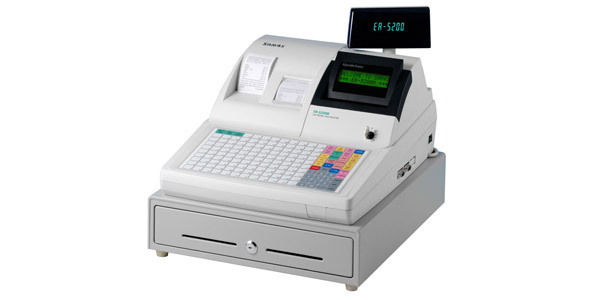 Having someone else program your cash register can be costly, but with the right knowledge, you can complete it yourself at no extra cost. The following set of instructions are a guide to programming several popular cash till models. If you would like more information on any of the models below, get in touch with our team. Firstly, turn the key to PGM position and decide which plu number you wish to use. The keyboard will be numbered from 1 to 70. PRESS PLU KEY NUMBERED 1 ON THE KEYBOARD THIS IS TO THE RIGHT OF THE TL/NS KEY, DISPLAY SHOWS ENTER 00 KEY. DISPLAY NOW MOVES ON TO NEXT PLU NUMBER SO PROCEED AS ABOVE. Turn key to REG position. Display shows PPPPPPPPPPPPPPPPP on display. Put new paper roll in to the till, and ensure the paper cover is securely clicked down. Remove paper till roll, now place roll back into the paper well of the cash register, ensuring that paper comes from below the roll, close down the paper hood (cover) ensuring that it clicks down firmly on to the till roll. Most problems are rectified by turning the key to X1 position and now press SUB TOTAL button. Return key to REG position. If cash register is dead, try removing one battery having turned off till at mains, leave for a few minutes, replace battery and in most instances the cash register will now switch on. To clear previous individual product press PREVIOUS VOID AND THEN PRODUCT YOU WISH TO CLEAR. Turn the key to P enter 200 press SUBTOTAL key enter PLU number on keyboard now press PLU key enter new price, press X/TM. To enter further prices continue by entering next PLU number and repeat sequence. When you have finished you must press CASH KEY and return the operator key to the REG position. Turn key to OFF position, remove top sheet to show alpha sheet below. Turn key to P enter 300 press SUBTOTAL key enter PLU number on keyboard press PLU key, enter word on keyboard press X/TM. To enter further words continue by entering the next PLU number and repeat sequence. When you have finished you must press CASH KEY and return the operator key to the REG position. We hope you find this information useful. 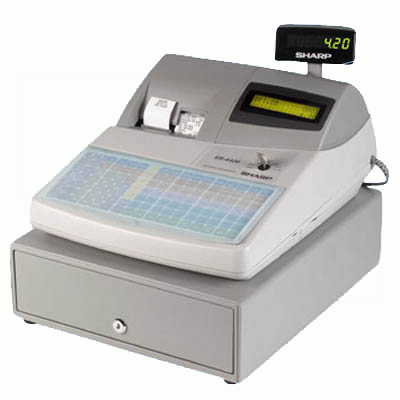 For more information on troubleshooting/programming cash tills and registers please click here. We do offer telephone support on most models of Casio-Sam4s–Sharp cash registers excluding touch screen models, for a nominal fee. Call us today on 01403 730711.